Unifor President Jerry Dias doesn't believe the U.S. government is serious about renegotiating NAFTA. OTTAWA -- Two labour unions say a Canadian proposal to raise labour standards in the North American Free Trade Agreement is vastly superior to an American text, and they are accusing the United States of stonewalling progress on the issue. Representatives from Teamsters Canada and Unifor said Tuesday the proposed U.S. text on labour standards was nothing more than a cut and paste of the failed 12-country Trans-Pacific Partnership — one labour unions have already rejected. Both unions said they consulted with American negotiators, whom they described as dismissive of the Canadian initiative at the bargaining table. They also met with Mexican officials to express their concern over poor working conditions and low wages in that country, and were rebuffed there too. "The U.S. continues to qualify the Canadian labour proposal as non-substantive, not serious. That means they have not shared it with their U.S.-cleared advisers," said Christopher Monette, spokesman for Teamsters Canada. Canada and the U.S. have brought labour texts to the bargaining table, but Mexico has not, said Monette. The U.S. has shared its text with Teamsters officials the U.S. and they describe it as "inadequate," he said. The Canadian proposal goes much farther, addressing right-to-work laws in more than two dozen U.S. states that give American workers the right to refuse to join a union but still reap the benefits of a unionized workplace. Canada wants enforceable, progressive labour standards to be included in a rewritten NAFTA that would force Mexico to pay workers higher wages and do away with what are called "yellow" unions that represent employers rather than employees. Canada and the U.S. are both concerned about the exodus to Mexico of quality jobs and investment, particularly in the automotive sector, where the minimum wage is less than $1 per hour. 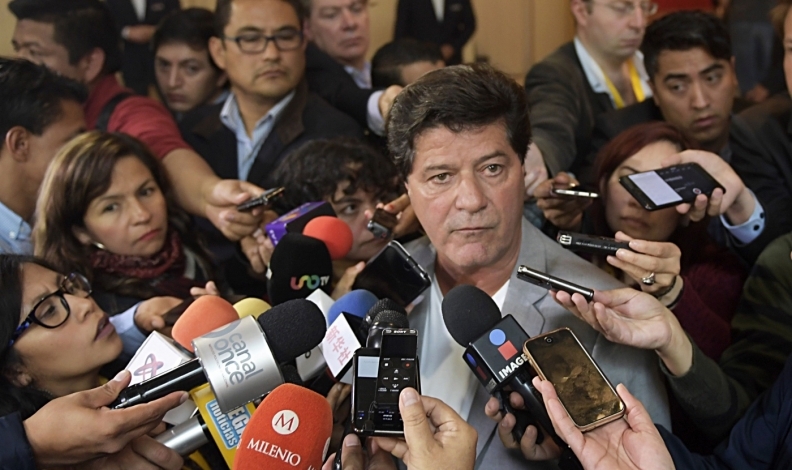 "Twenty-three years ago the argument was this would allow the standard of living for Mexican workers to rise, and here we are 23 years later and we still see minimum wage at 65 cents an hour," said Jerry Dias, the president of Unifor. Teamsters and Unifor officials have backed the Canadian position in their meetings with the U.S. and Mexico. "I don't think the Canadian team is thrilled with it (the American text) because it falls short," said Dias. "I know that the labour movement in the United States that was trying to push the American team to do the right thing put forth progressive language — and they didn't do that." Monette described the Mexicans as unreceptive to the Teamsters entries. "We got the sense the Mexicans are facing a strong pushback from their own business community regarding the Canadian labour proposals, which is unfortunate,” he said. Moises Kalach, a leading member of the private-sector group that advises the Mexican government on the negotiations, said his country's business leaders are committed to raising labour standards under a constitutional process that is well under way. He said there have been questions at the bargaining table about that process and the general question of standards. But "nothing to do with wages" has been raised by Canada. "We agree that we should have high labour standards," he said. "We're going to continue that process with the Mexican government and make sure that we finish the job." Dias said Canada should walk away from the NAFTA renegotiation if it can't make progress on labour, because low standards in Mexico have led to the shuttering of auto plants in Canada and the U.S.
"You can't sign a free trade deal where you've already lost half a million manufacturing jobs. The United States has lost a heck of a lot more than that. It's clear where the industry is investing _ it's crystal clear." The labour unrest came as Foreign Affairs Minister Chrystia Freeland was preparing to welcome her Mexican and American counterparts to Ottawa on the eve of the last day of Round 3 of the talks. Freeland was hosting U.S. Trade Representative Robert Lighthizer and Mexican Economy Minister ldefonso Guajardo for a dinner meeting Tuesday night before the talks wrap up Wednesday. Since the Canadian iteration of the talks began Saturday, the goal of finishing by the end of the year has grown more elusive by the hour. Freeland, Lighthizer and Guajardo hold a series of meetings Wednesday, but the major issues will be pushed forward into a fourth round in the coming weeks. In addition to the disagreement over labour standards, Canada's chief negotiator has said he doesn't expect progress on several other hot topics. They include the investor state dispute settlement process, the fate of Canada's supply-managed dairy and poultry industry, and the U.S. demand for increase American content in North American-manufactured automobiles. Canada and the U.S. have also been forced to fend off accusations that they are deliberately dragging their feet at the talks.